Has the list of repairs for the roof started to get too long? Have you already put in excessive repairs and maintenance for the roof? If so, it’s time for a new roof. Experience life without excessive roof repairs with a roof replacement in Dallas, TX. Experts at Legend Roofing will replace your tired rooftop with the brand new roof of your dreams. Call 214-321-3293 now to talk about what kind of roof will be best for your home! Age is one of the most important factors in determining the need for a replacement roof. Clay or slate can last homeowners a safe 100 years, but regular maintenance is an absolute must, especially as the roof gets older. Once a roof gets up to its optimum age, constant repairs are imperative. If you’re home is beginning to suffer the consequences of an deteriorating roof don’t wait another minute to get started with it’s roof replacement. If your roof has aged too much or is in beyond repair call Legends Roofing out of Dallas, TX. With over 15 years experience, we tell you with confidence when it’s time for a roof replacement and start work as soon as possible. 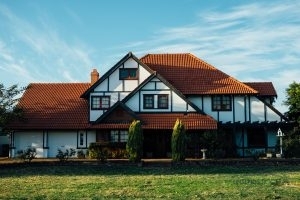 First, you’ll want to consider what kind of roof replacement you’d like, then our experts can discuss available options and what works best for your house. Choosing your next roof is an important decision. There are various options for a roof replacement in Dallas, TX. We install roofing that handles hot and humid Texas temperatures, hail storms and all other types of formidable weather. To do this we ensure all roofing requirements are met, such as proper installation of roof ventilation and flashing. With all the bases covered, you’ll know you’re in good hands with Legends Roofing. Pick the right Kind of Roof! After over a decade of roof replacement experience, we know what works and what doesn’t. To ensure your safety and satisfaction, we provide fantastic roof work by highly skilled and trained technicians. We’ll only work with reliable roofing materials to secure excellence. Without our high standards, poor roofing options can lead to roof leakages and energy loss. Homeowners could experience expensive energy bills or water damage due to mold. Avoid bad roofing complications by sticking with the professionals. Set up a roof replacement in Dallas, TX with local professionals. We’ll guide you through the entire process and guarantee satisfaction with brilliant roofing options that work. Call us now at 214-321-3293 for a roof replacement in Dallas, TX appointment.